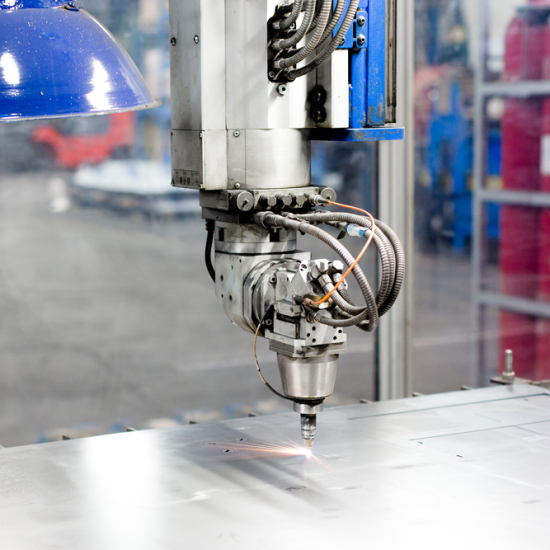 Laser cutting processes are key to York Metal Products’ prototype and short run production specialization. Our 5-axis CNC laser cutter has a moving table in the X-axis and a cantilever Y-axis that has cutting capabilities for 3-dimensional and 2-dimensional applications. The laser cutter nozzle can tilt to allow access to a variety of surfaces, making it very cost effective for parts where run quantities, shapes or sizes make tooling costs prohibitive. A cantilever design, which allows open access to the work envelope with all three sides of the machine clear from obstruction. A work envelope of 118 inches in the X-axis, 65 inches in the Y-axis, and 30 inches the Z-axis. Extremely high axis accuracy and repeatability. Axis accuracy is less than or equal to 0.1 mm with repeatability less than or equal to 0.03mm. 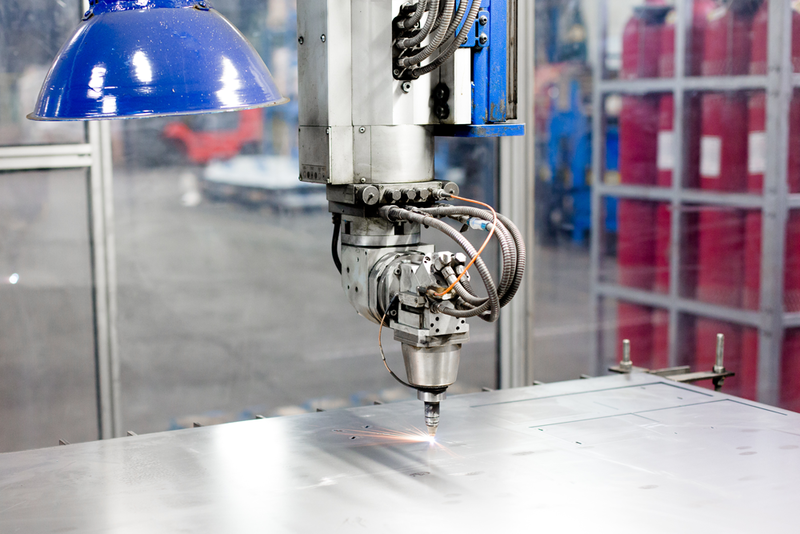 At York Metal Products we use both 5-axis (3D) and 2-axis (2D) lasers and supplement this cutting capability with plasma and CNC turret processes. Laser cutting offers the benefits of minimal heat in the affected zone and highly repeatable results. Edge quality and extremely close tolerances are achieved by using programmable laser technology.